Milled from high-grade aluminum, this matchbox is both tough and good looking. Rubber o-ring seal assures a watertight seal. You simply can't find a better matchbox on the market. Fits matches up to 2.1" long. 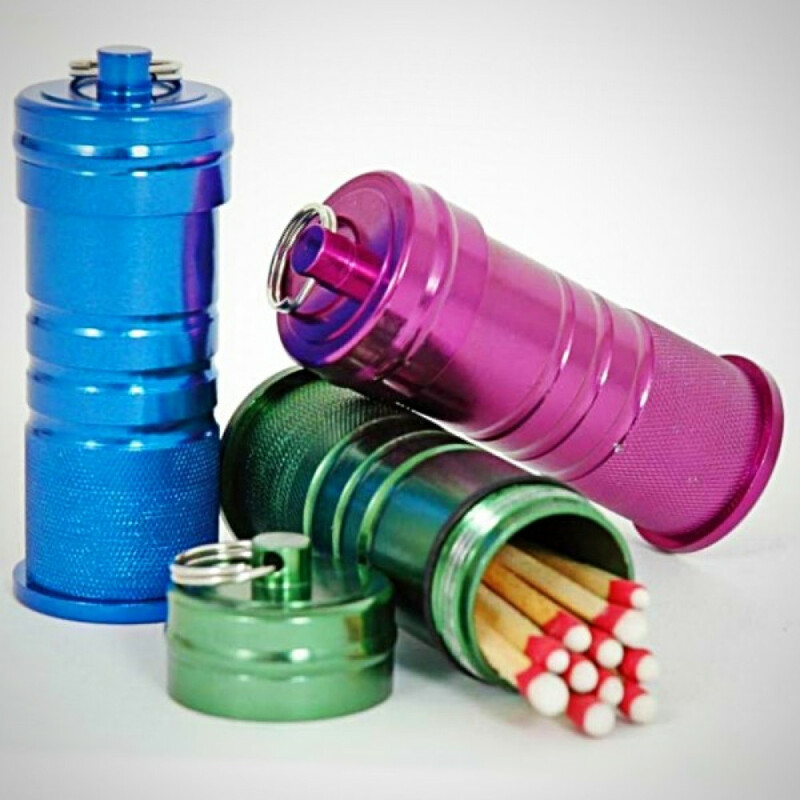 Comes in assorted anodized colors.